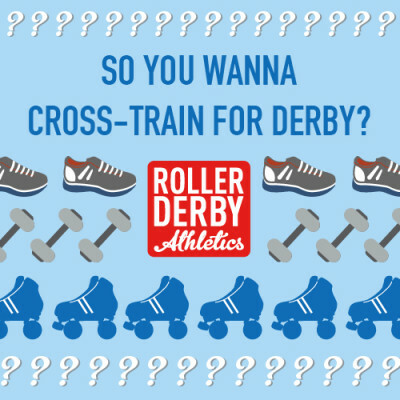 You’re racing around the morning before the big home bout, making sure the signs for the beer garden are printed/hand stamps are inked/will call list is up to date/announcers have their call sheets/whatever. Running out the door 10 minutes late, you realize you can’t find your favourite socks and you’ve run out of your pre-game snack. Then you get stuck in traffic on the way to the venue, and by the time you get laced up for warmup, you’ve been a raging jerk to everyone who’s crossed your path, including your teammates. You haven’t thought about the actual GAME all day, and now you’re struggling to hold it together. You’re Stressy McCrankypants. Or, perhaps you’re the type who requires *complete* precision in your pre-game routine. The night before the big bout, your jersey has been washed and ironed, your gear bag is pre-packed, your favourite calming song is pre-loaded on your ipod, and your ride is coming to get you 40 minutes early, just in case. You’re half-way through your regular pre-game lockerroom meditation. Then something happens. Something about your routine gets thrown off (there’s a minor emergency with bout production, your team’s pre-game warmup time gets changed, you realize that you accidentally put the LEFT skate on first). Suddenly your zen demeanor hits panic-mode. You weren’t expecting this. This WAS NOT part of your plan! Now you’re panicking, and you’re pretty sure you’re going to eat s#$t when the whistle blows because it’s all gone to hell now for you, Ms Ritual de lo Habitual. 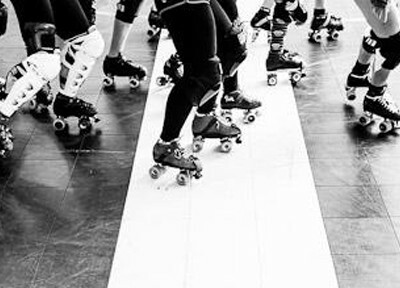 Cultivating confidence going into a roller derby bout is about the only tool you’ve got left to work with by the time the big day rolls around. Another 20 burpees isn’t going to make you stronger, and your strategy and teamwork better already in place by now. The two extreme ends of the preparation spectrum described above are both missing the boat when it comes to ensuring you feel confident and ready when the whistle blow. 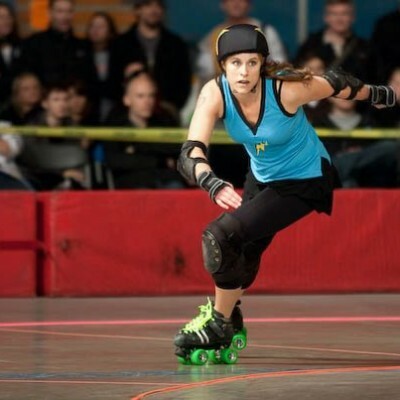 Confidence is perhaps the most critical factor for a derby skater on bout day; it comes with preparedness, cultivation, and skill in managing mental distractions. According to Sport Psychology Today, there are two major types of distractions to athletes – external and internal. External distractions could include worry about who’s in the audience, built-up hype about the rivalry with the other team, being late, or a frustration like forgetting your socks. Internal distractions are self-created, and usually more insidious and harmful… thoughts of self-doubt, defeatist attitudes (‘I performed poorly in my last game against this team, so I’m definitely going to do the same again today’), or thinking ahead to the results of the bout. I’d like to point out that allowing an unforeseen change to your pre-game routine to shatter your confidence is also a form of internal distraction, created from an external one. Refocus – remind yourself of your objective and game plan again. I you can use the 3 Rs to kick undermining thoughts and worries to the curb when it comes to your pre-game prep, you’ll be ready to take on whatever the day tosses your way.